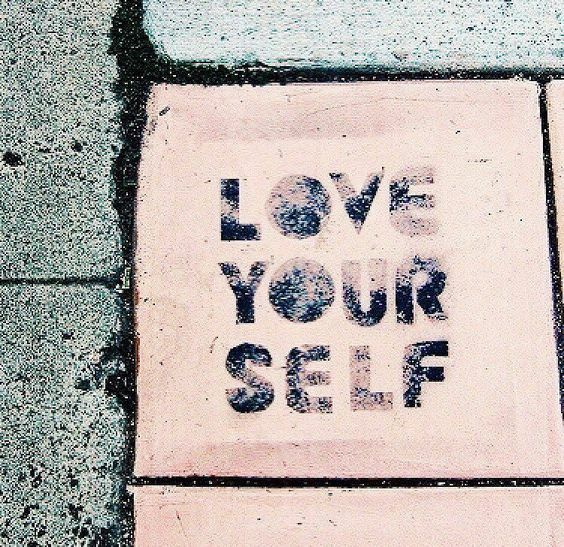 Is It Selfish to Self-Love? Do you keep seeing the term self-love in every magazine you pick up? Are you one of the many that think self-love is just another act of self-indulgence and an unnecessary act of self-gratification? Do you feel like others might judge you if you allocate time yourself? Do you feel like you’re meant to suffer and life is meant to be hard? Firstly, let me get clear on how I see self-love. I like to think of self-love as the umbrella term, and under it includes, and is made up of self-acceptance, self-compassion, and self-care. One cannot exist without the other if you are seeking to be in self-love. They co-exist and when you practice all parts you are officially practicing self-love. Then I hear you ask, what do I mean by self-acceptance, self-compassion, and self-care. Self-compassion is about being kind to ourselves. Using that tender and nurturing voice to support, help and heal our inner emotional turmoil. Self-acceptance is accepting you as you are without judgement. You’re not good, bad, right, wrong, fat, thin, pretty or ugly. You just are and that is just right. People talk about ‘loving ourselves’ and I believe that is a big expectation, especially since most of us have come from a place of self-loathe and self-esteem collapse. Self-acceptance is a much more achievable and realistic goal. Self-care is the act of self-love. It isn’t just taking a warm bath and getting our nails done. It is saying ‘No’ to commitments when our week is already rammed. It is cancelling or postponing arrangements if it is better for your emotional, physical and spiritual wellbeing. It is speaking your truth with and setting boundaries with others from a place of love and compassion. Sadly for most, none of these come naturally to us and we need to learn how to accept ourselves, learn how to talk to ourselves with compassion and how to take care of ourselves. There is no handbook to life, we only have our parents as role models and let’s be honest, they muddled through and at best did an average job in showing us how to be compassionate, conscious, accepting humans! One way that I encourage my clients to connect with themselves is to bring a photo of their younger selves to the session and we explore her qualities, feel the energy she is radiating, feel the freedom she felt before all the limiting self-beliefs kicked in. Before I do this, I ask my client to tell me the kind of things they say to their adult self. I then hold up their younger photo and ask them if they would say those things to their little version. This always evokes a reaction of sadness and a big realisation of just how mean that inner critic has been to the adult self (internal little self) and just because she is an adult, she doesn’t deserve that. I always get my client to put that photo up of her at home so that they can stay connected and remember what words that little girl needs to hear like she is loved unconditionally, safe, protected, enough just as she is. It’s all about reparenting our younger selves and nourishing ourselves where we were once malnourished with love, compassion, and care. On Valentine’s we buy for our loved one, we dress up, put our lippy on, make them or take them for a lovely meal. Yet when it comes to doing the same for us, we feel guilt or shame by allocating time for ourselves. Who’s critical voice is in your head telling you it’s selfish to take care of yourself? The bottom line is, it is an investment to self-love. Without it, our emotional, physical and spiritual side suffers and so do those around us. If we aren’t keeping our minds and body healthy and clear then it starts to impact our relationships around us. Anger, resentment, bitterness starts to seep into all areas creating disharmony, dis-ease. Much like Valentines, I think there should be a day dedicated to self-love, and if by making that day a commercial vehicle to take better care of ourselves. I’m all for it. You never know, you might just like it. It’s selfish not to self-love. So this Valentine’s start with you, it could be the best decision you make. You matter.